Blockchain is arguably one among the most prominent technologies in the present scenario. I would probably denote it as the second internet. When I was in my fifth or sixth standard, the only source of information was encyclopedia. If I was ever curious about how something worked, I used to rush into the nearest library, in search of an encyclopedia. Kids these days will never know the struggle. They don’t even heard of encyclopedia, instead they open up Google. Nowadays it’s even simpler as asking Hey Google, What’s Blockchain ? And guess the source of information — obviously, it’s Wikipedia. Amazing right ? You can fit the entire encyclopedia in one page of Wikipedia. What really happens here is — in one generation, a 240 year old institution becomes irrelevant. With Wikipedia it’s all decentralized. So anyone can contribute to Wikipedia and anyone can read from it. This improved the speed & reliability of underlying data… Wikipedia is just one example of how the internet changed our world by decentralizing information. By the end of this write-up, everything else is going to be decentralized. The quest to Bit Coin started in 2009, when we had a financial crisis. A lot of people lost their trust on bank. So an experiment was launched to see if we can run a decentralized banking system, so that there is no intermediaries. In Normal Banking scenario, the bank keeps track of my balance and a number of record, each representing a transaction, called the Ledger. Whenever I do a transaction, The bank will add my transaction to their ledger and validate against my available balance. But in case of Bitcoin, there is no central ledger, instead everything is distributed. Instead of the bank verifying the transaction, bitcoin ask other members on the network to verify the transaction. This is the simplest definition of Bitcoin ever. Using PG, the customer pay Rs.1000 to Amazon. The bank validate the transaction. Mr. A send Rs.1000 to Amazon. The above information (transaction) is broadcast to the bitcoin network. Transaction is approved without any third parties. Note: Mining is a hard job. You will find detailed explanation as you move on. 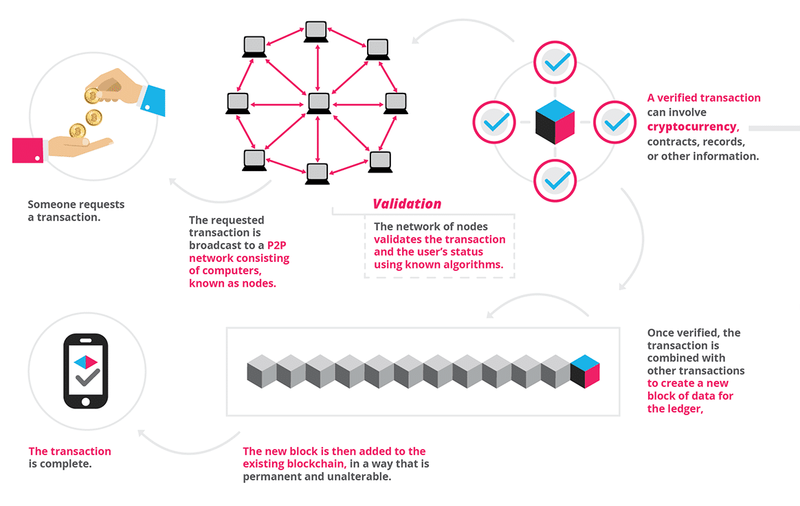 What’s a Block Chain ? Previous Hash : Hash of previous block. The previous hash is used to chain the block together. Now it’s time to explain what’s Mining. Simply, Mining is the process of creating a block. This asks the minors to solve a complex puzzle. It’s easy to say, but the hard part is solving it. Since the job of a minor is to confirm a transaction, definitely it should be the hardest job, Hardest in terms of computing power. This to specify that the minors have invested significant computing power in mining a block.It ensures that — re-mining all the blocks** will require so much computing power, which is practically impossible. A sample problem would be something like — hash of the block, you just created should begin with 4 zeroes. In addition to the data, hash and previous hash , A block may also contain some additional information such as a nonce, the timestamp etc. By changing this nonce field, i am supposed to generate a hash that meets the specified criteria. Whenever a block is mined, It is added to the chain. ** suppose if a blockchain has five blocks and someone alters the third one, then all the blocks from the third to the last gets invalidated and will be required to mine all the blocks again. 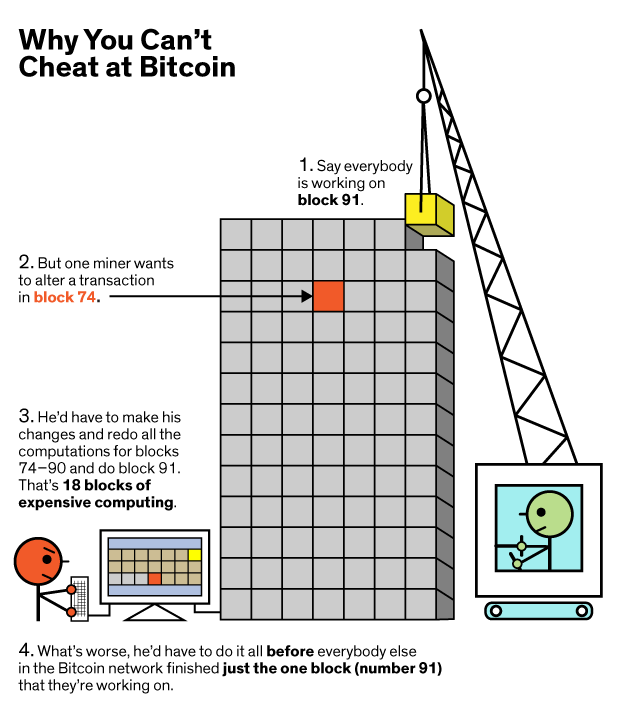 This ensures that someone can’t cheat at bitcoin. Hope it’s almost clear. As already discussed , Blockchain is expected to decentralize everything, not just financial transaction. I regularly take medicines , so I used to carry my medicine box along with me, wherever I go. But sometimes, when I forget to carry the medicines with me , I am forced to get it from the nearest medical store. But the worst thing is that , there is no way to detect the counterfeits among them :( . It’s a serious problem. If I manage to integrate blockchain with medicines / drugs , I might be able to track the entire life cycle of the drug — from the producer to the consumer. similarly everything can be brought under blockchain. Thanks for your time. Hope I was able to cover almost all the basic concepts of blockchain. It will definitely help you to explore more on Blockchain. But still, there might be something that I missed. Please let me know through the comments and I will be happy to include it. I will be back with programmatic approach to blockchain. Until then bye-bye ! Never ever forget to clap if you loved ❤ it..!